The African-Caribbean music of Robert Nesta Marley is so unique and left such a lasting impression on his listeners and fans alike that attempting to pay him homage is like navigating the choppy waters of blind imitation in trying to get it right. So, like the music of that other intrepid voyager, Thelonious Monk, “you just play the music” as Monk—or in this case, Mr. Marley—imagined and wrote it. But Everton “Pablo” Paul has gone a step further and cast it in another bright corner of African-Caribbean music: rocking in the palo, guaguancó, Abakuá and more of African-Cuban polyrhythms. The effect is remarkable. Remembrance is the name of the record that not only recalls the memory of Mr. Marley, but also celebrates his famous ghost in a manner like few have dared to. In a sense this is a rather irreverent tribute; rendering the music of one of the most celebrated Rastafarian legends in an idiom somewhat further removed from the idiom that it is used for its near-sacred message. However, looked at another way, where remembering the almost omnipresent spirit of Mr. Marley his legend can almost be equated with Martinican poet, Aimé Césaire, and apropos of the political element in Mr. Marley’s music, it might be possible to equate the spirit of Robert Nesta Marley with that of Ché Guevara as well. But then at some level, all of these comparisons, while relevant, might not be as significant and important as the sheer beauty of the music: translated from reggae to mambo and more. 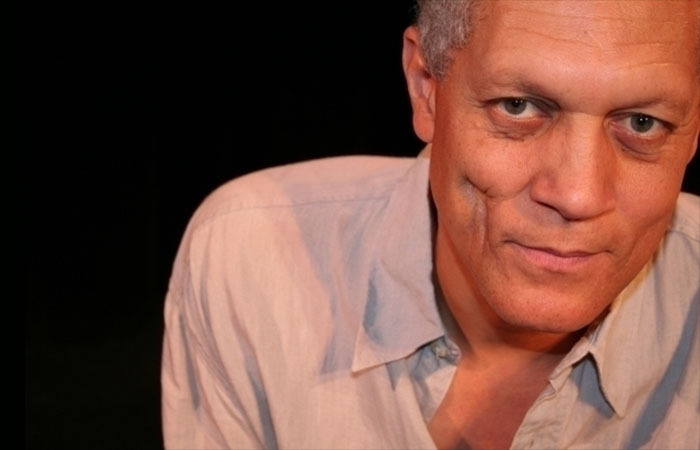 Mr. Paul is a powerful singer and his edgy counter-tenor seems perfect to bring back to life the narratives of “Get Up, Stand Up,” “No Woman No Cry” and “Exodus”—Mr. Marley’s torch-songs. His enunciation is almost similar to the clarion call that shocked the world when Mr. Marley threw caution to the proverbial winds and took life by the throat and made earnest and universal exhortations in “One Love,” while crying plaintively about his innocence in “I Shot The Sheriff”. Not only does Everton “Pablo” Paul bring the Spirit of Mr. Marley to life, but he does so in the grand manner because he expertly draws a contiguous line in the musical topography of the islands of Jamaica and Cuba. It is his vision that first led to this project being dreamed up. Then he met the Cuban drummer and maestro, Ruy López-Nussa Lekszycki, who, in turn, introduced Mr. Paul to another ingenious musician and arranger, Roberto García López. And it was the latter who transformed the linear music of Mr. Marley’s originals into the delightfully dangerous ellipses wrought in the African-Cuban polyrhythms. There is, of course, no escaping the sharply struck down-beat of Mr. Marley’s reggae, but the music is literally re-born in the spectacular and primeval enrichment of the thundering rhythms played out on the batá, or on the exquisite rumbling of Ruy López-Nussa’s myriad drums and in the scorching growl of Roberto García López’ trumpet. This is not to say that the other musicians are only incidental to the project. Michel Ruiz García and Mayquel Gonzalez are both spectacular musicians as is the saxophonist, Ivan Ivanovich. Jorge Luis Pacheco Campos can hold his own in any ensemble with his characteristic guajeo and his classic tumbao. And between him and the bassist, Luis Antonio Izquierdo, the music continues to surprise at every turn. The accompanying DVD in this package documents the making of this record. It features interviews by Everton “Pablo” Paul, Ruy López-Nussa and the arranger and musical director Roberto García López. What is significant, however, is the remarkable rehearsals. Conducted in living rooms and garages these sessions show the dedication of the group of musicians who seem to work in less than ideal situations and yet produce this outstanding record. What might easily be missed, however, is the fact that Roberto García López worked—almost unnoticed—for nine long months, perfecting the arrangements that are heard on this album. Remarkably, however, this is the first record where Everton “Pablo” Paul is leader and he holds his position with distinction. Remembrance is unlikely to be forgotten in a very long time. Track Listing: One Love/People Get Ready; Get Up, Stand Up; Bad Card; Could You Be Loved; No Woman No Cry; Exodus; Lively Up Yourself; Concrete Jungle; Is This Love; I Shot The Sheriff. Personnel: Ruy López-Nussa Lekszycki: drums and general director; Roberto García López: trumpet, musical director and arranger; Jorge Luis Pacheco Campos: piano; Luis Antonio Izquerdo Clua: bass; Ivan Ivanovich: saxophone; Michel Ruiz García: trumpet (performance); Mayquel Gonzalez: trumpet (recording); Octavio Rodriguez Rivera: percussion; Otto Santana Selis: percussion; David West: guitar; Wendy Vizcaino Hermida: backing vocals; Susan Santana Selis: violin, backing vocals; Alieni Abreau López: backing vocals; Everton “Pablo” Paul: lead vocal. 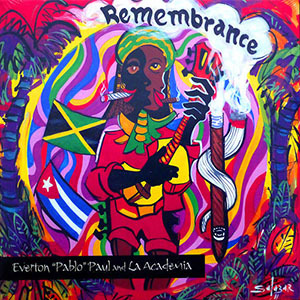 Recorded at the Nelson Studio in Havana Cuba, Remembrance is an amazing recast of Bob Marley’s music featuring Everton ‘Pablo’ Paul and a choice group of Havana-based musicians – La Academia – led by Ruy Lopez Nussa and arranged by musical director Roberto Garcia Lopez. The album is an inventive fusion of indigenous contemporary rhythm patterns from Cuba and Jamaica, based on the universal songbook of Bob Marley.